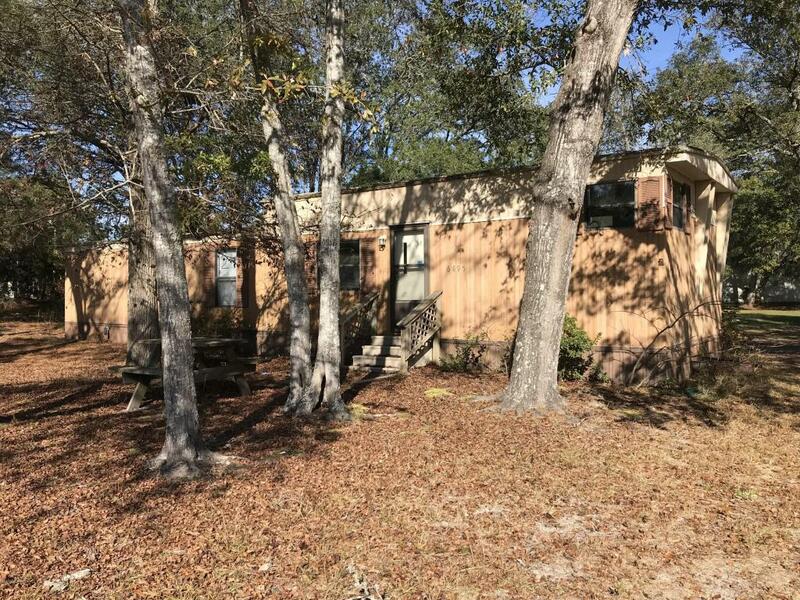 On a quiet side street, only minutes away from the beach and the ICW, is this older single wide manufactured home (SWMH) on a deeded lot for sale. Located in the Ocean Haven community, this SWMH has about 800 +/- HTSQFT. There are two bedrooms, one bathroom, public water, handicapped access ramp, exterior buiding, mature live oak trees on the lot, and is on a state paved road. This manufactured home could be turned into a vacation retreat or a rental property. Current owner does NOT have a membership to the private Ocean Haven POA, the association that oversees the private pier and the boat ramp. Membership into this private association is by vote of the current members and membership into this POA CANNOT be guaranteed. Cash sale and NO owner financing. Excellent location!